With the Graphs we can analyis the overall physics for paper 1with Medium while in paper 2 the over all questions asked where of easy level. 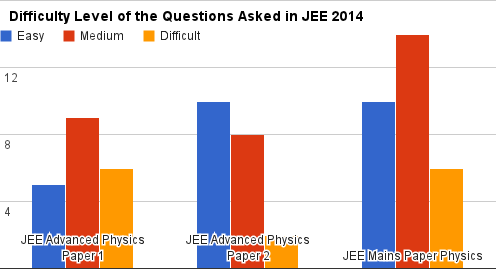 In JEE Advance the gravity of questions went up. with number of medium level questions going up.